Two Mozambicans and six Tanzanians have been arrested by Mozambican authorities accused of poaching in the Niassa National Reserve. One of the Tanzanians is to be repatriated for the completion of a prosecution he is facing in his own country. The gang was arrested after a three-year investigation by the National Administration of Conservation Areas (ANAC), the National Criminal Investigation Service (SERNIC) and prosecutors in the districts of Mecula and Montepuez in the provinces of Niassa and Cabo Delgado respectively. Last August, Pemba Judicial Court in Cabo Delgado sentenced Mateso Albano Kasian, 39, also known as Mateso Chupi, to six months’ imprisonment for assuming a false identity as Martinho Adamo Muinduma, according to a statement sent to @Verdade. The aforesaid individual is Tanzanian and the Mozambican government is preparing to extradite him to his country of origin, where he is accused of several crimes and faces trial for elephant poaching. 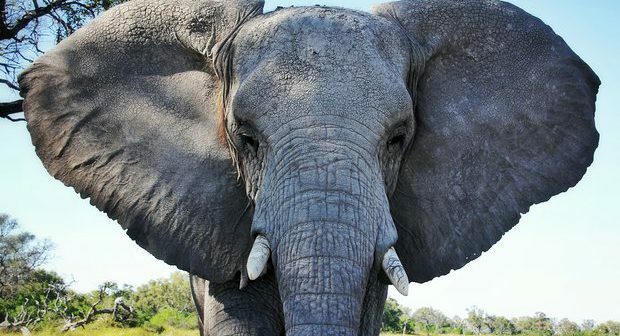 Kasian is thought to be the mastermind of numerous elephant deaths in Niassa National Reserve and Serous Reserve in Tanzania, and has been sought by Tanzanian authorities since 2013. Although Mozambican authorities did not know the true identity or whereabouts of Mateso Kasian, they detained him in Niassa National Reserve in September 2014 along with six people under his direction and in possession of weapons, large quantities of ivory, axes, ammunition, vehicles, supplies and other belongings. Abdala Quiporia was detained a year later in October, 2015, tried under Law 5/2017, of May 11, Law on Protection, Conservation and Sustainable Use of Biological Diversity, and sentenced in June to eight years’ imprisonment and a fine. If he cannot pay the fine, his sentence will be extended to October 2031. “The six members Abdala Quiporia headed were also serving sentences ranging from eight to 11 years in Lichinga city, after they were tried and convicted by the city court,” the statement said. In Maputo province, Salute Alberto, Juma Lucas Cossa and Américo Massango were sentenced to six years in prison by Moamba District Court for poaching and illegal possession of firearms. In South Africa, on September 13, three more Mozambicans – 35-year-old Paulo Ubisse, 34-year-old Júlio Mimbirre and 25-year-old Domissane Matavele, were sentenced in South Africa to 10 years of imprisonment for illegally entering the Kruger National Park across the Mapulanguene border. They are the fourth group of poachers caught recently, bringing to a total of forty-two the number imprisoned in South Africa for poaching since January 2017.